What to do with a Scuba Knit? I was intrigued by this little tidbit of fabric from Fabric Mart Fabric. 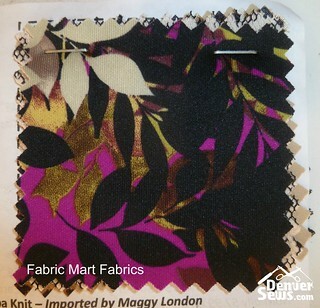 It was in Julie’s Picks for June – a little “scuba knit” fabric from Maggy London. It has a nice combination of colors with a leaf motif. How could I possibly lose with this one? So I ordered up almost two yards and lo this is what I received! I was expecting an all-over design, but this clearly has strong blocked designs. I was going to make a nice wrap dress or fun summer top. But now I am utterly flabbergasted. Now I must go back and ask myself – what is a scuba knit anyway? Upon inspection, it feels like a very thin neoprene with the printed pattern on one side and an all-white back. It is soft, smooth and has a nice drape. It’s probably double the thickness of the polyester ITY knits I like. It is described as a burgundy / black / purple / chartreuse 95% polyester 5% lycra mix. When I ask “what is a scuba knit” online, I see that others are equally confused as I about what it really is, though neoprene often comes up as being similar. I would have to agree that it is much like a thin neoprene. Almost every scuba knit outfit I see is body-hugging and looking good on a 20-year old. Body-hugging outfits are not my thing in my more advanced years. Note that these prints have large designs, but are more all-over. Again, these outfits are body-hugging. These insets look great with smaller prints. With the larger motifs, I’d have to be very concerned about placement of various design elements on the body. Where should the large solid purple areas end up? And what about the pinkish blobs that come in pairs? So I am at a total loss. What can I do with this scuba knit fabric? What was I thinking! When I looked at the fabric hanging over the dress form, I thought it was a finished garment… following that lead, I’d suggest a bathrobe / housecoat or a long cape, if you still had the fabric. Came across your post while surfing the net to try and figure out what “scuba knits” are. Your print reminded me of a top in a recent BurdaStyle issue. 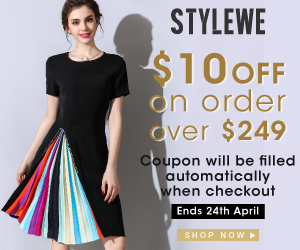 Check out style 107A in the April 2015 (03/2015) issue: http://www.p-an-da.com/2015/01/burda-032015.html. (Top 107A is the tenth thumbnail image. Click on the third thumbnail image showing all the styles in BurdaStyle issue 03/2015 in color to find style 107A quickly.) This might be a nice option for you, if you’re looking to get away from the skin tight options out there. LOL I actually ended up giving away that scuba knit because it was just too confusing to me to figure out what to do with it. I might give a solid color a try next time. Oooh, the Boulder Humane Society Thrift & Gift store! Then I’ll be the one checking out Jamie’s suggestions! Ah ha – it’s a mirror print. I get it. Still don’t know what to do with it, but the pinterest page Jamie suggested looks promising. Thank goodness there might be *something* I can do with it, otherwise it’s going to syltoy68 or the Boulder Humane Society Thrift Store! I love it! A caftan would be beautiful. If you decide it’s not for you let ne know. .I’ll take it off your hands. A skirt in that print with a short vest would also be nice. Good luck. It is beautiful print. One thing I see a lot with the bodycon mirror print dresses is that they put the large motif on the side and have some negative space running down the front. I think it has more of a slimming effect? Maybe try lining up the negative space between the large blocks down the front of your dressform and put the large white things at the side of the waist and see how it looks. So many possibilities! This is where I like playing with my fabric in Photoshop. Really you can substitute a stable knit in any woven pattern, you just want a little but less ease because it stretches. Sure is pretty. Maybe look at it as being used in several projects. I like the inset idea. Maybe a skirt too. I’ve never heard of this knit. Leggings? Hazard of shopping online. Im surprised they didn’t show a full view. I, too, think using it as an inset is a great dress idea. Or, Good-bye Valentino has an all over printed dress illustrated where she worked on the placement and it turned out well. Also, a snug fit with a print like this is not as revealing as it would be in a solid. Do you recall the other definite print you used? (I think you made a tunic out of it.) We could help you with placement. It is a lovely piece! Wow, I’m stumped too. 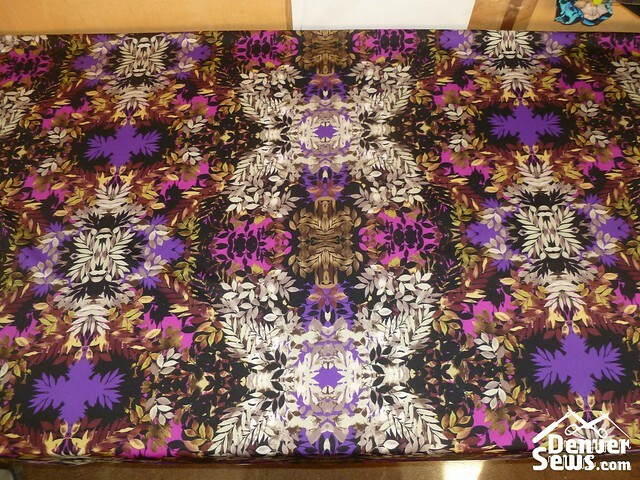 While pretty, this fabric print reminds me of a rorschach test. I think your idea about using it as an inset is great! You’ll just have to be very careful with where the pattern falls on the body. 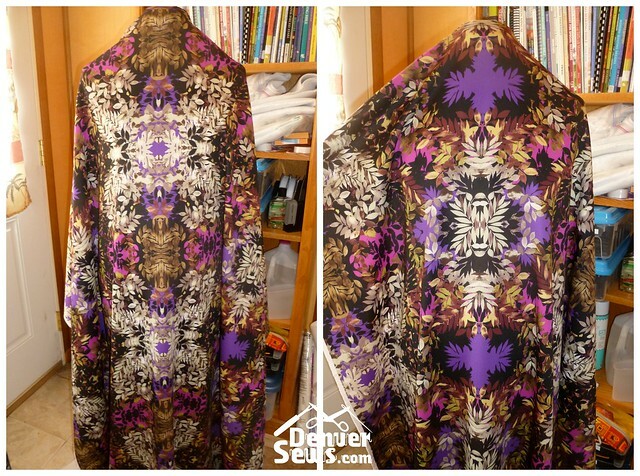 How about some sort of light coat with large cuts of fabric in the design? where the emphasis is in the skirt. If not sleeveless, then lace or something not patterned for most of the bodice? In one of our fabric store brochures I’m sure they indicated the use of this fabric with a peplum fabric pattern.